Many, many law enforcement officers across the country view Comey as a crooked cop. The Trump-fired number two leader at the nation’s once premier law enforcement agency, FBI Deputy Director Andrew McCabe, through his legal counsel Michael Bromwich requested that the Senate Judiciary Committee grant him immunity in exchange for his testimony, former federal law enforcement official Nathaniel Grouven. “Mr. McCabe is willing to testify, but because of the criminal referral, he must be afforded suitable legal protection,” Michael Bromwich, his lawyer stated in a letter he sent to the U.S. Senate’s Judiciary Committee Chairman Chuck Grassley. Grassley had already requested McCabe — whose interoffice communications revealed an intense dislike for President Trump — to appear before his committee next week. The senators on the committee are scheduled to review a forthcoming Justice Department inspector general report into how the FBI handled the Clinton email probe. The Justice Department’s Inspector General has concluded that James Comey displayed insubordinate behavior as the FBI’s top cop and he has defied authority more than once while he was FBI director, ABC News reporter Mark Swanson wrote in an exclusive on Wednesday. Swanson’s sources claim they have read the draft compiled by DOJ Inspector General Michael Horowitz. One source told ABC’s Swanson that the IG used the word “insubordinate” to describe Comey’s behavior. “The IG’s report focuses in on Comey’s decision to inform Congress that he was reopening the investigation into Hillary Clinton’s private email server just 10 days before the 2016 election, ABC reports,” the ABC story states. McCabe was fired by Attorney General Jeff Sessions in March after the inspector general found McCabe lied under oath about his contacts with the media during the 2017 election, and is expected to be named in the highly-anticipated Inspector General’s report. In a May 31 letter, Grassley asked McCabe to testify at the forthcoming hearing, and also asked for two sets of documents. Bromwich also told Grassley he would not provide the requested documents, which he said would violate a nondisclosure agreement MCcabe signed. Grassley wrote immediately back to Bromwich on Monday, saying he would discuss the request with Ranking Member Dianne Feinstein, D-Calif., and noted that even if she agreed with the request, it would require a two-third vote of the committee. The joint investigation by the House Judiciary and the House Oversight Committees is being led by Republican Reps. Bob Goodlatte of Virginia and Trey Gowdy of South Carolina. Conservatives have continued complaining the FBI, DoJ, and others dragging their feet and at times stonewalling the examination into how the Clinton email investigation was more of a sideshow than a serious criminal investigation. The Democrats with the help of their news media comrades have complained that the Hillary email case is “old news” and the GOP is trying to distract Americans. The GOP claims, however, that investigation by Special Counsel Robert Mueller into how President Donald Trump is really a Russian plant is simply frivolous. According to a number of law-enforcement officers, there are so far three witnesses who may be called to offer testimony in congress: John Giacalone, who initially headed the Clinton investigation detail; Bill Priestap, assistant director of the FBI’s counterintelligence division; and Michael Steinbach, former head of the FBI’s national security division and the man who succeeded Giacalone. 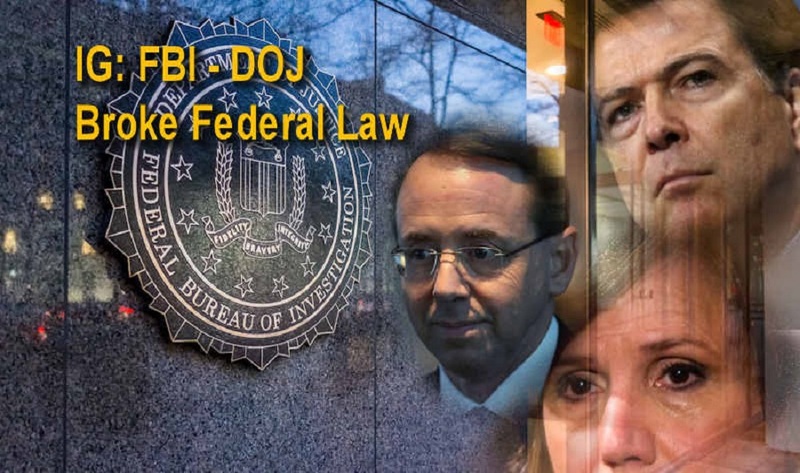 “Six months later, the senior FBI agent in charge of that investigation resigned from the case and retired from the FBI because he felt the case was going ‘sideways’; that’s law enforcement jargon for ‘nowhere by design,’” Napolitano wrote. “John Giacalone had been the chief of the New York City, Philadelphia and Washington, D.C., field offices of the FBI and, at the time of his ‘sideways’ comment, was the chief of the FBI National Security Branch,” said Judge Napolitano. 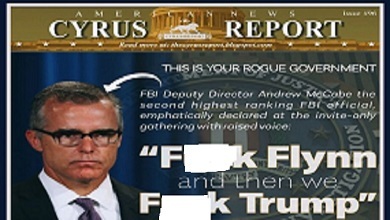 Slowly but surely a number of rank-and-file, honest FBI special agents are letting it be known they are prepared to testify, and expose the horrendous misuse of power and authority that ran — and continues to run — throughout the Executive Branch of government during the Obama years, and by his Deep State cohorts, claims Dr. Rapacki, who owns the private security firm, Sentinel Intelligence Services, LLC. Well they should investigate the misuse of gov. Power to fraud the American piblic. No one should be above the law we the people have to abide by.